Michael Dapaah’s Man’s Not Hot has come a long way from being a Grime-parody freestyle at BBC 1Xtra. The track has gone on to be an official Island-released Top 10 single and a viral hit which has accumulated tens of millions of streams. The song is being referenced all over the world, from UK politicians Jeremy Corbyn and Fiona Onasanya, to Chelsea center back Antonio Rüdiger, with Dapaah even being proclaimed a legend by DJ Khaled at the BET Awards. 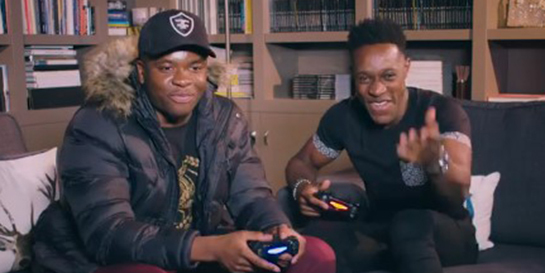 EA Sports and FIFA 18 are now getting a slice of the action, teaming up with Globe who orchestrated a game for Big Shaq against Arsenal FC favourite Danny Welbeck. The pair put their skills to the test, playing the new FIFA 18 game on PlayStation 4. A short video launched the campaign on Wednesday and gained almost five million organic views within 24 hours across EA Sports FIFA social media and YouTube channels. The campaign has had a heap of press coverage, being picked up by The Mirror, The Daily Mail and culture website Versus who perfectly described it as “one of the most hyped games of FIFA 18 you’re likely to witness”. It’s also gone global - Hungarian gaming site Gamer.hu, and African sports channel Kwesé Sports both reported on the campaign. The single has been in the UK charts for nine weeks, and has showed no signs of slowing down, entering the Top 10 for the first time last week. It’s in the running to become this year’s Christmas number one, with GRM Daily calling for a campaign to get it there. It’s been backed to top the charts this Christmas alongside Elbow’s Golden Slumbers and George Michael. Big Shaq has been performing around the UK, doing his biggest performance yet at BBC 1Xtra Live Manchester, while also making a special appearance at Spotify’s Who We Be event at Alexandra Palace. Be sure to catch him at Electric Brixton on December 15.